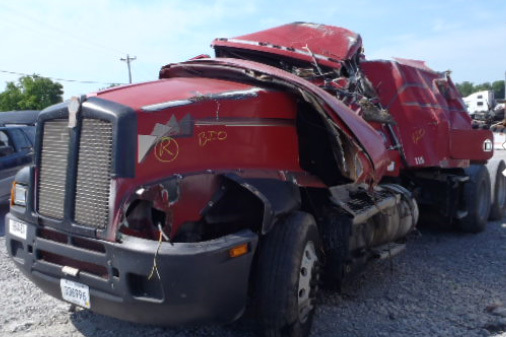 Daily across the highways of America, semi & big rig truckers are involved in serious and often deadly big truck rollover accidents in which the truck’s design defects and lack of crashworthiness design come to light. 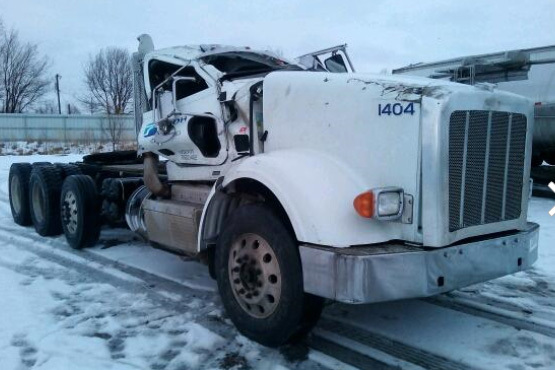 Most of the serious injuries and deaths to truck drivers in rollovers come from the roof crush and roof pillar collapse of the big truck’s cab. These heavy duty truck rollovers are not confined to just one truck manufacturer or model, but spread evenly across board. While International, Freightliner, Peterbilt and Kenworth are consistently involved in the bulk of the big truck rollovers mainly due to market share they maintain, Volvo and Mack semi trucks are also involved in hundreds of rollover and accidents as well. Whether these big trucks are pulling dry bulk, freight, tank, container, grain, refrigerated or platform trailers these truck and trailer when fully loaded can be difficult to control. The weight and location of the cargo can raise or shift the center of gravity of the 18 wheeler rig making it more difficult to maintain in emergency braking and accident avoidance maneuvers. In fact, if the driver starts to lose control of tractor during hard barking or a lane change, the weight and centrifugal forces of the trailer and cargo can add to the driver’s inability to steer or control the truck and trailer. The weight of the loaded trailer makes braking and steering in a sudden emergency extremely difficult and especially if in the process any of the load or cargo has shifted or the cargo is above the center of gravity of the trailer. In some 18 wheeler accidents lawsuits, the company that loaded or owns the trailer may share in some of the fault and responsibility in improper loading, over loading or failure to secure the load. In one such case over 25 years ago, Attorney David Willis represented the driver hired to transport an ocean going container owned by Sealand Corporation. Our client , a long haul semi truck driver had checked the load before driving, but during the trip the locking devices on the defendant’s container used to lock down the container onto the chassis of that model of Sealand container were old and worn out and hard to lock. While the driver was driving on a ramp at I-10 and I-45, the cargo container unlatched and the container shifted partially falling off the chassis and turning over the truck and trailer in the process injuring the driver and destroying the driver’s sole source of income. Truck driver’s lawyer, David Willis files a lawsuit on his behalf and after a lengthy trial in Houston, Texas, the jury found in favor of the truck driver Vincent Pincebena. Since this lawsuit, most of the older designed containers with the side locking devices have been retired from the fleet and replaced with containers and chassis with newer end or corner locking design. When a rollover of the semi truck is eminent the truck driver must now fear the dangers of the truck’s cab design itself. 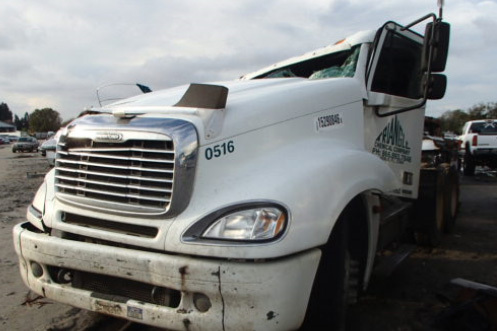 The cab of a heavy duty big rig truck may look intimidating and strong, but in a highway rollover, the big truck’s cab design and lack of rollover protection can instead become a death trap to the driver. The most of the day trip and sleeper cabs used on semi trucks lack any type of rollover protection system or ROPS, or any type of rollbar or roll cage to protect the driver and any occupant in the event of a rollover accident. In fact the bulk of the roof structures of most big truck cabs consists of aluminum and fiberglass, both of which has no ability to withstand the weight of the truck or cab nor the energy crushing down onto truck’s roof structure. In big truck rollovers often the roof crush or roof collapse causes serious spinal cord injuries, traumatic brain injuries, blunt trauma and death. In some cases the survival space of the crushed cab and roof is so small, the driver is trapped and can often lose the ability to even breath. If these trucks instead had an internal roll cage built in to the cab to help absorb and re-distribute the energy of the crush, then the amount of roof deformation would be reduced. Sadly most big or heavy duty trucks and commercial trucks on the roads, are not required to have the same minimum safety standards that passenger car manufacturers must follow. Until NHTSA requires stricter standard including better seatbelts, airbags and strong roof systems and roll cages, 1000’s of more truckers are going to be maimed or killed each year. Truck manufacturers for over 20 years have known of safer alternative cab and roof designs and were presented truck roof strength engineering studies of designs that will save the lives of truck drivers, but most truck cab makers have turned a blind eye to safety and instead have continued to make profits the number one priority. Another truck rollover defect that makes these truck seating systems and cabs are not crashworthy and involve the use of many out of date seat belt buckle designs and shoulder belt and seatbelt placements to keep the driver safer in a head-one frontal crashes or a rollovers. Besides poorly designed seatbelts, many heavy duty trucks lack the newest airbag systems, including roof mounted and side impact airbags to protect the driver in such crashes. Due to the ever changing weights and distribution of cargo loads, the ability of an electronic stability control system (ESC) or rollover sensor /computer to assist the truck driver in a potential rollover scenario has been difficult to design and implement. As such the manufacturers of these semi trucks, cabs and sleepers must use modern engineering principles, equipment and safety designs in beefing up the ability of truck to withstand a rollover crash and protect the driver in most scenarios that they are confronted on the highways. Besides worrying about the defects of the roof pillars, airbags and seatbelts of most modern semi truck’s cabs, the truck driver has to always be vigilant of ever shifting loads that can occur during transport, but also the dangers of steel beams, logs, pipes or other cargo that can slide forward in a sudden crash and travel into the cab impaling and killing the driver. This is why most trucks carrying loads of cargo on a flat platform trailer have cargo or cab guards often called headache racks. Though sold to protect the driver from forward moving cargo, most of these bolt on headache rack have never been tested in real world accidents involving logs in a logging truck accident, pipe or steel beams in a flat trailer platform accident. These light weight poorly designed head ache racks will not prevent a log or steel beam or pipe from traveling through it light weight aluminum exterior or expanded steel at highway speed accidents. Many headache rack guards have built in tool boxes or a see-through grill window or louvers which can actually weaken the safety design and reduce the capability to stop the sudden movement of long shaped cargo (logs, beams, pipes) from piercing the cab guard or the back of the cab itself. If a headache rack or cargo guard failed to protect you or a loved one, let’s investigate for you the possibility of a product liability injury lawsuit against the designer, seller or even the installer of these defective headache rack guards. If you or a loved one has been seriously injured or a loved one killed in a big rig truck wreck or semi rollover and you believe the truck or cab’s design was defective or lack the necessary safety equipment to keep the driver or occupant safe, then call the Willis Law Firm 24/7. Mr Willis is a Board Certified Personal Injury Trial Lawyer with over 30 years of trial experience and a leading automotive and truck product liability attorney representing drivers and passengers injured or killed in big truck accidents, rollovers, roof crush and crashes nationwide. No Fees or Expenses Unless You Win. Call to today and talk to a trial lawyer that has been representing injured truck drivers for almost 30 years and has the background and experience to help you in your case or lawsuit.